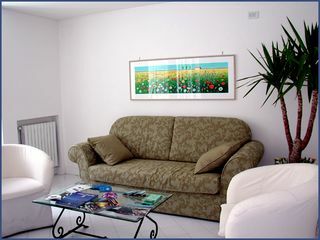 Plunged in a green area, a few metres far from the charceristic fishermen village of marina grande, Villa Chiaro di Luna, is the best solution if you are looking for a central accommodation, not distant from the most beautiful attractions of the city. All the rooms have been realized to give the guests every comfort. Each room has a bathroom with a shower, air conditioning and colour tv. 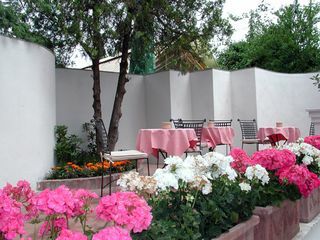 The shared spaces, where breakfast is served, are in a quiet and green area of the villa, and are equipped with little tables and chairs offering a nice spot to relax and the possibility to enjoy a particular setting. 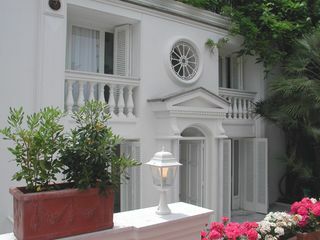 The nice terrace overlooking the gulf is a solarium as well as a nice corner to use in any moment of the day. 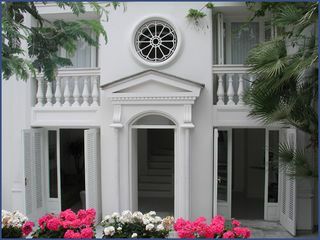 The kindness and the assitance of the owners will help the guests of the villa to spend an unforgettable holiday. ROOMS All the rooms have been realized to give the guests every comfort. Each room has a bathroom with a shower, air conditioning and colour tv. 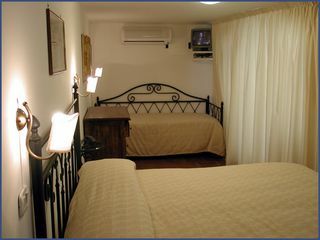 Special prizes in low season's months (November, December, January and February) ahd for staying longer than three days. You can cancel your reservation up to 20 days from the scheduled arrived,otherwise we apply a 30% in case of no show we apply a one-day rate penalty. Take the highway A1 to Naples. After the exit Caserta Sud, take the highway A3 to Salerno. After the exit Pompei, take the exit Castellammare di Stabia on your right. Follow the road signs to Sorrento. There is a local rail (Circumvesuviana) service; a hydrofoil from Naples Beverello (30 minutes).